At Oviedo Grove you'll find generously sized one, two and three bedroom apartment homes with beautiful water views and pristine landscaping in the heart of Oviedo, known for its A+ schools. With Oviedo on the Park right around the corner, you're just minutes from great dining and entertainment options where you can enjoy a stroll around the water after grabbing a bite to eat. 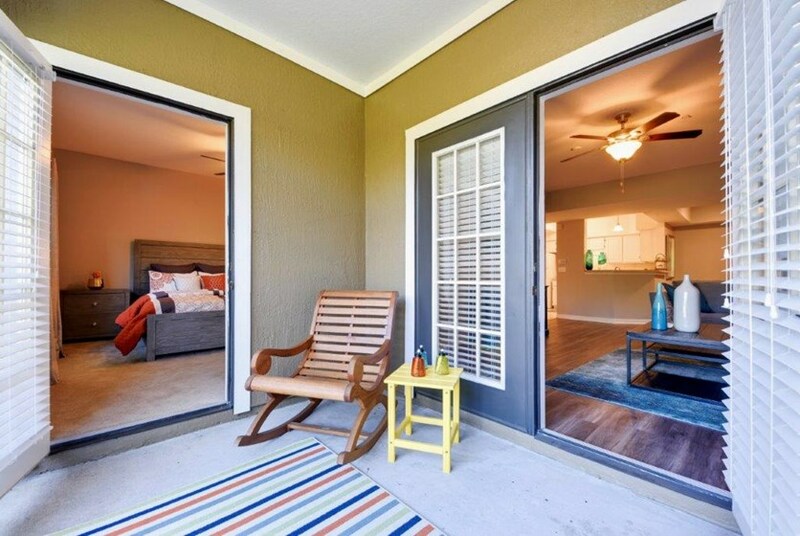 The community is also located only 4 miles from the University of Central Florida, and with SR 417 close by, you can easily get to Downtown Orlando and everything else Orlando has to offer. 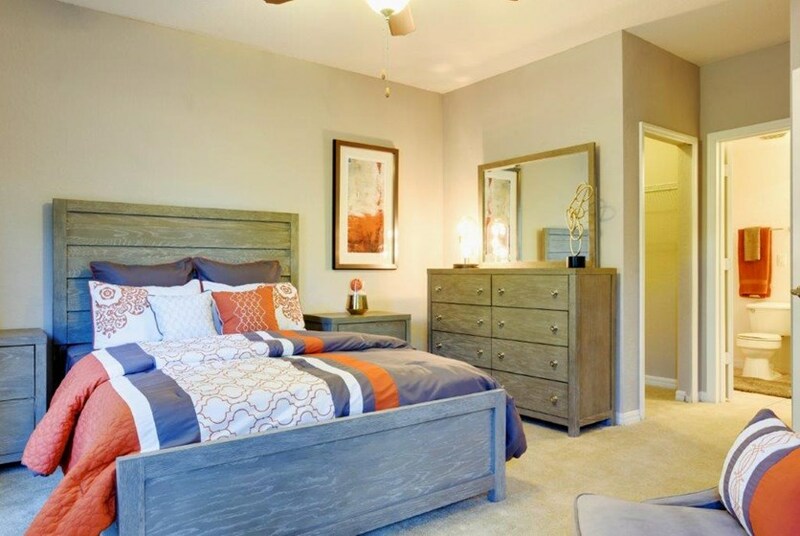 Schedule a tour to find out why Oviedo Grove is perfect fit for your new home! Get fit at the new 24-hour fitness center overlooking the pool with brand new cardio equipment, free weights, and more. Pet friendly with no breed restrictions - let your furry friend roam the bark park leash free. Lounge with friends in the clubhouse and play a round of scrabble on the giant wall scrabble board or take advantage of the business center with printer access. Take a dip in the refreshing pool or lounge poolside and grill your favorite meal. Stretch your legs and enjoy the fresh air while playing a round of tennis or basketball at one the courts. Spacious apartments include a full size washer and dryer, ceiling fans, and ample storage, including exterior storage closets. Enjoy the outdoors from the comfort of your screened in patio or balcony, many with relaxing water views. Large bathrooms offer tons of counter space with drawers and cabinet space - some floor plans even offer double sinks. 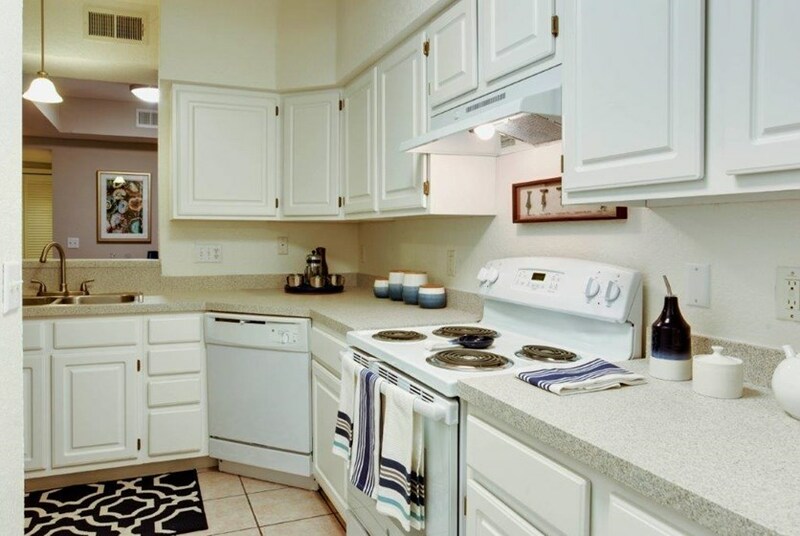 Select apartments offer stylish wood style flooring and granite countertops. These large floor plans are great for both familes and roommates. Do you work for: The City of Oviedo, UCF, Seminole State College, Seminole County Public Schools, Siemens, Orlando Health, Florida Hospital or are a current or retired member of the US Armed Forces? If so, you can receive 1/2 off your security deposit! * *An unconditionally approved application is required to receive 1/2 off deposit special. We've sent your message off to Oviedo Grove Apartments. If you'd like to chat with the staff immediately, feel free to call them at (407) 792-5765. If you would like to chat with the Oviedo Grove Apartments staff before your tour, you can call them at (407) 792-5765. We're checking availability for you now! Someone from the leasing team will contact you shortly. Meanwhile, please feel free to call Oviedo Grove Apartments at (407) 792-5765.